Brian and Cheryl marry on Skye! Surprise wedding on epic 7,000 mile walk! Charity Boss marries on Skye with walking partner Cheryl Finlay. 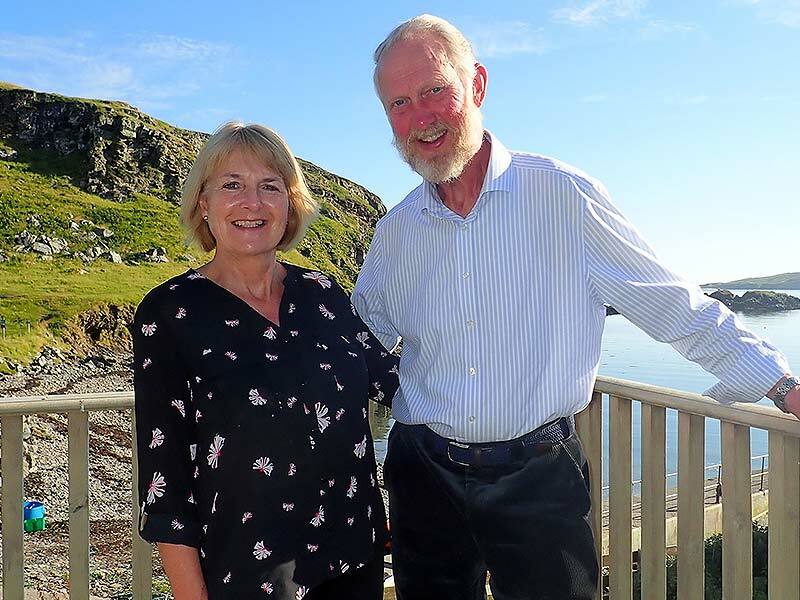 Brian Burnie, 74, has reached Skye on his challenging 7,000 mile walk to take the cancer charity Daft as a Brush all over Great Britain and Ireland. 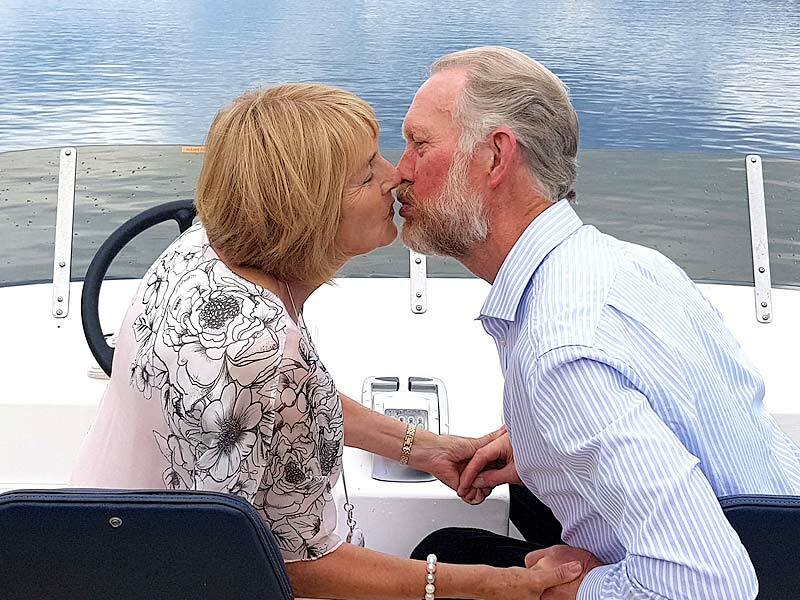 As if reaching over 1,200 miles on foot isn’t enough to celebrate, Brian and Cheryl have tied-the-knot on Skye! At 4pm, 27th July 2018, Brian Burnie married Cheryl Finlay, at the Registry Office on the Island. Both are delighted! Brian Burnie “It’s hard to believe someone my age is going to re-marry! We’re parked at Stagecoach Bus Depot in Skye, where we had the Stag Night! (That’s more than one cup of tea at my age). Everyone here has been fantastic, you couldn’t meet nicer people. Also with us is the nicest Vicar I have ever met – Rev Juliet Stephenson from the Holy Nativity Church at Chapel House, Newcastle. She has travelled all the way to Skye and has blessed our marriage when we had a meal with our children”. Rev Juliet Stephenson “Cheryl and Brian told be they where getting married a few months ago, and to keep it under my hat! They asked me to do the wedding, and I was absolute trickled pink! I am vicar in England but the regulations are slightly different is Scotland, so I am doing a wedding blessing for them which will be really lovely.